Every time The Wonder Years release a new record, I think to myself “there is no way that they could ever top this. This is the best record this band could ever create.” I thought this with The Upsides. I thought this with Suburbia. I thought this again with The Greatest Generation. And after The Greatest Generation, I honestly thought it was true. I knew this Philadelphia sextet were evolving their sound and maturing, and I didn’t think I was going to like it. I was dead wrong. 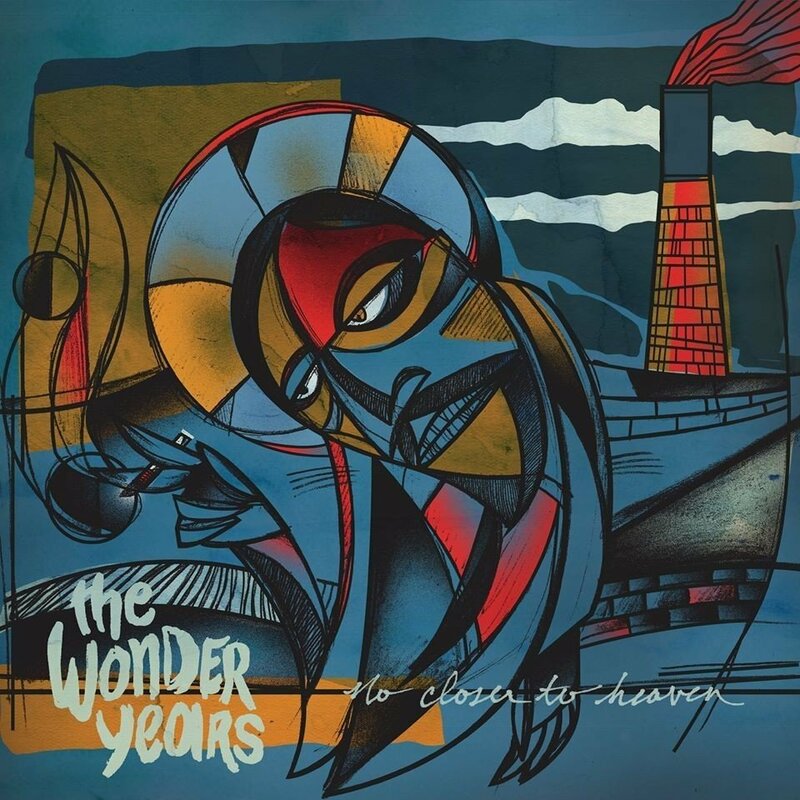 No Closer To Heaven, the fifth studio album from TWY, the third from Hopeless Records, is a raw, honest, beautiful piece of art that has come from the blood, sweat & tears of these men who laid everything out on the table for us to experience. We hear deeper and darker issues being explored on this record, from addiction & racism, to classism & abuse. Not only do we hear the maturity in the lyrical content of the record, the majority of which is penned by vocalist Dan Campbell, but we hear it in the instrumental content of the record as well. We hear guitarists Matt Brasch and Casey Cavaliere orchestrating arrangements I didn’t know they were capable of; we hear guitarist/keyboardist Nick Steinborn input keyboards into tracks so beautifully and in just the right places. We hear drummer Mike Kennedy and bassist Josh Martin hold the record together with new rhythms and beats I would have never expected to come from a pop punk band. The Wonder Years have always had a way of delivering an insane amount of emotion through their music, and No Closer To Heaven is no different. Extremely apparent in a few tracks more than others, (“Cardinals,” “Cigarettes & Saints,” “Stained Glass Ceilings”) this loose concept album delivers a purpose for every song, for every note, and for every lyric sung. Some songs are catchier than others, while some are more experimental. The Wonder Years truly explored their artistry and came out on top, when so many other bands fall through the cracks and into oblivion. It’s not the end of the year yet, but No Closer To Heaven has made a very strong case for my Album of the Year, and is now one of the best albums I have ever heard as a whole. The Wonder Years have more than proved that they are an incredible force to be reckoned with, and I’m excited to see if they can top this. I’ve said it before, and I’ll say it again: this is the best record The Wonder Years has ever created.